Surgery for severe heartburn has become less common after the turn of the millennium, due in part to the fear of relapse. Instead, most patients are treated with drugs that reduce the acidity of the stomach. However, a new study from Karolinska Institutet in Sweden published in the distinguished journal JAMA shows that the risk of complications and relapse is not as high as feared, especially not in young, healthy males. 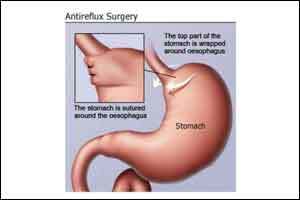 The risk of reflux relapse was higher in women, elderly people and people with other diseases; the risk was lowest amongst healthy men below the age of 45. “This type of operation with a relatively low risk of complications is possibly an under-used therapeutic alternative, especially for young, healthy people with severe reflux,” says principal investigator Jesper Lagergren, professor at Karolinska Institutet’s Department of Molecular Medicine and Surgery. But the overall recurrence after anti reflux surgery isn\’t very encouraging. How can be better over open surgery? The entire etiopathology of EG reflux disease is going to be completely revisited once a holistic approach is considered.